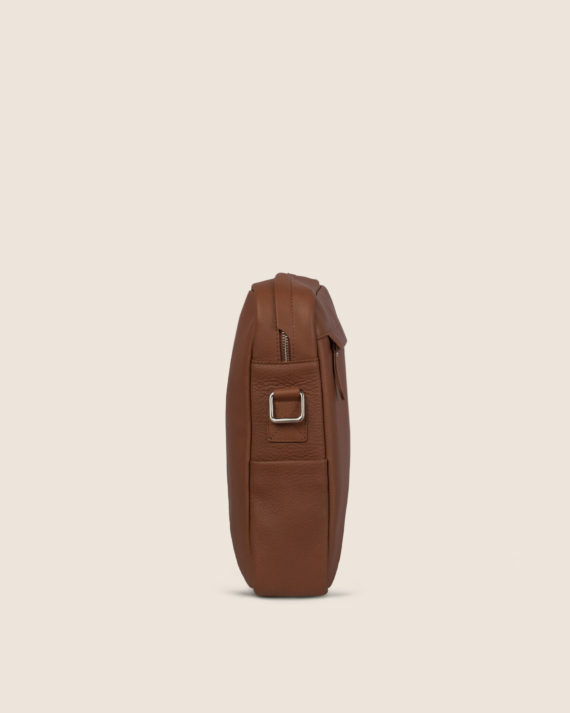 External zip compartment on the back with strolley attachment feature. 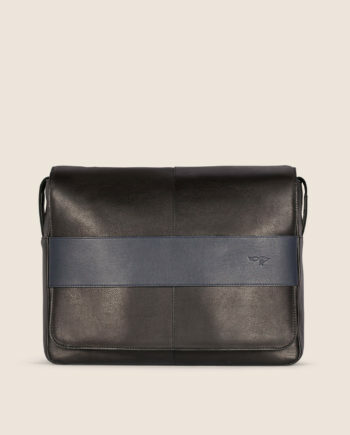 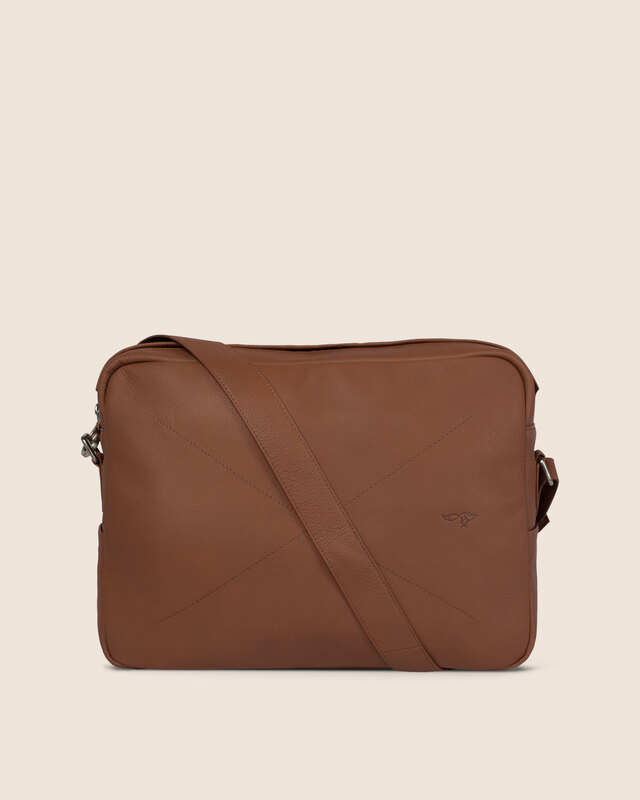 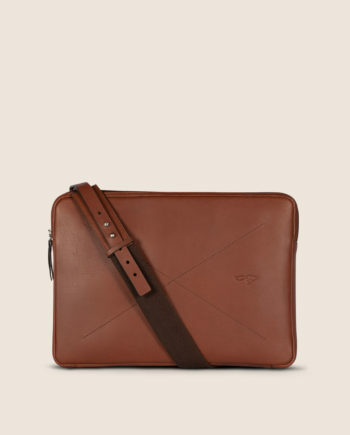 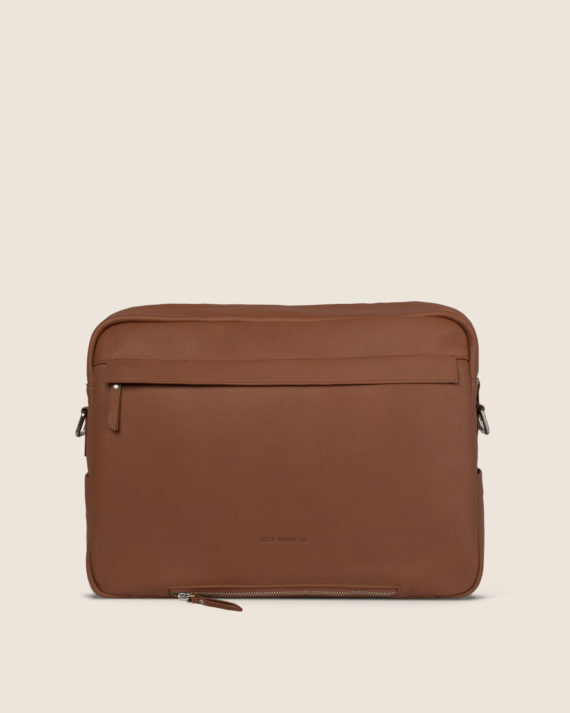 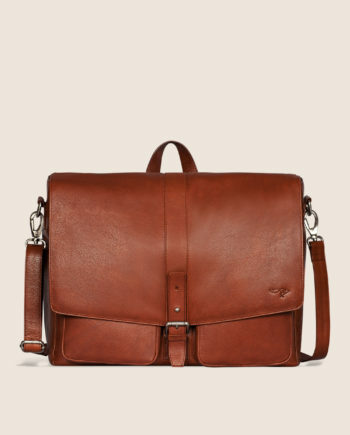 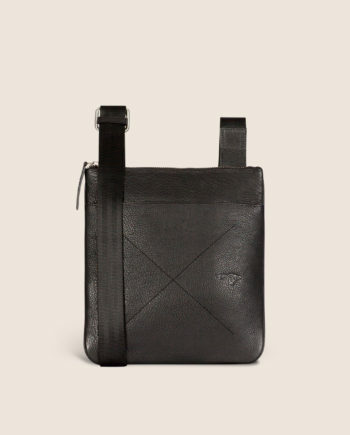 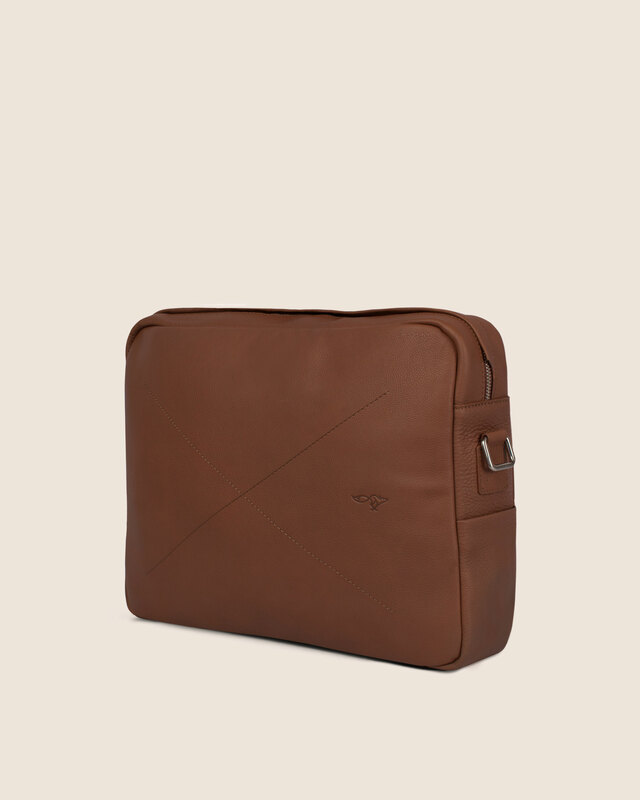 Leather Laptop messenger bag which is compatible with a 17″ laptop. 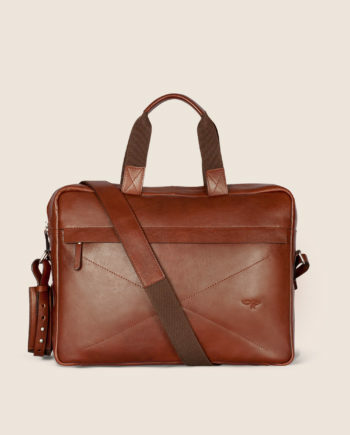 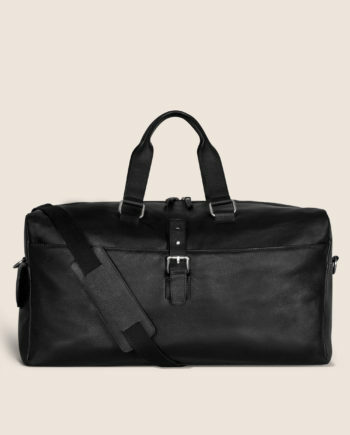 It comes with a single main zipped compartment with an inside padded compartment for a laptop. 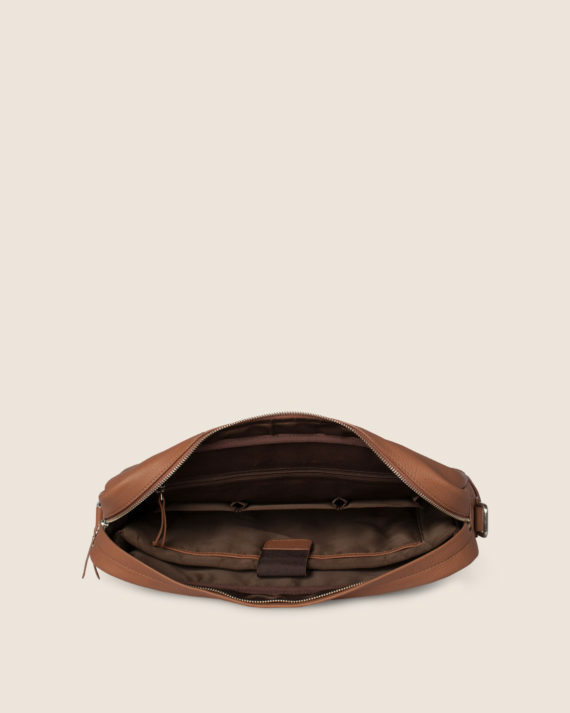 There is a quick access external zip pocket. 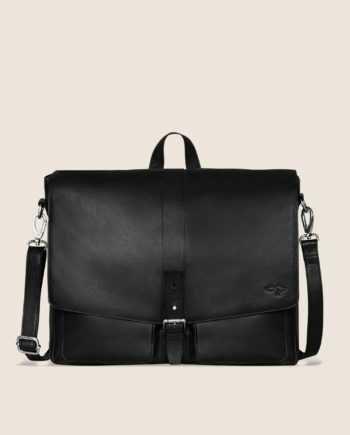 It has an adjustable shoulder strap therefor easy to carry.